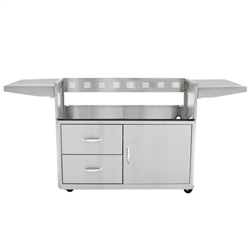 This Blaze stainless steel grill cart is specifically designed to house the Blaze Professional 4 burner gas grill. 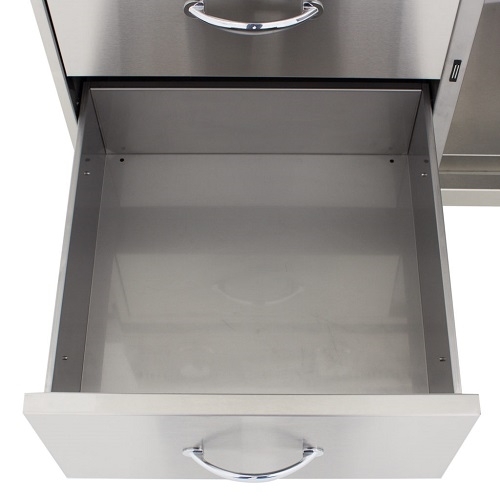 The two stainless steel side shelves keep your BBQ tools at hand and provide a convenient work area while you cook. 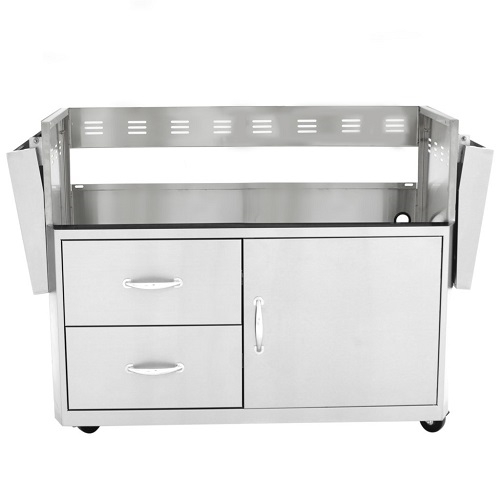 The Blaze grill cart also features one front door with a rounded handle to access the cabinet below the grill where you can store your propane tank. 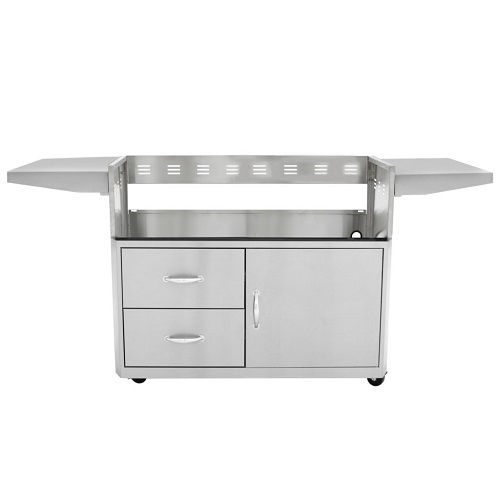 It also features two drawers with rounded handles to store your grill cover and BBQ accessories. The cart is warranted for lifetime to the original owner against defects in manufacturing and workmanship. This warranty extends to the original purchaser against manufacture defects for products purchased for ordinary single-family home use.